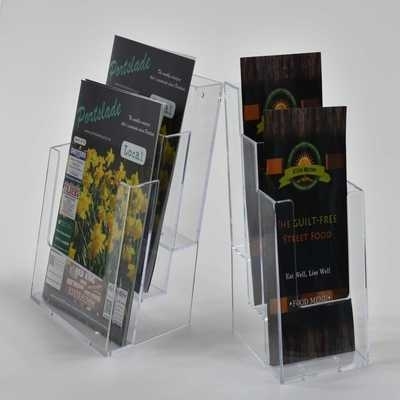 We manufacture in the UK a wide range of standard & bespoke leaflet dispensers. 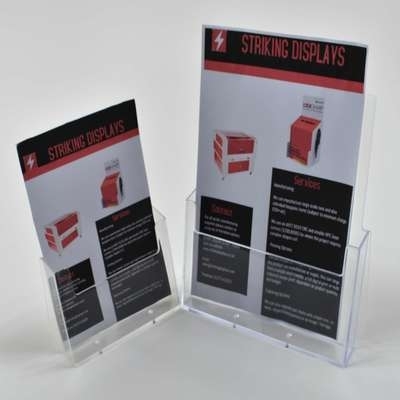 Literature displays can be made to order to suit all paper sizes in singles, multitier and multi width. Whether counter standing, floor stand or wall mount. 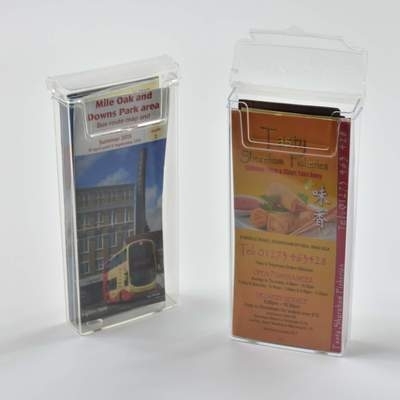 Leaflet dispensers can be fabricated in clear & coloured acrylic, PETG, Hips and foam PVC. 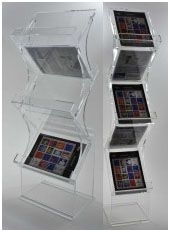 Leaflet stands can be created to suit specific requirements & fit your catalogues, magazines and brochures. 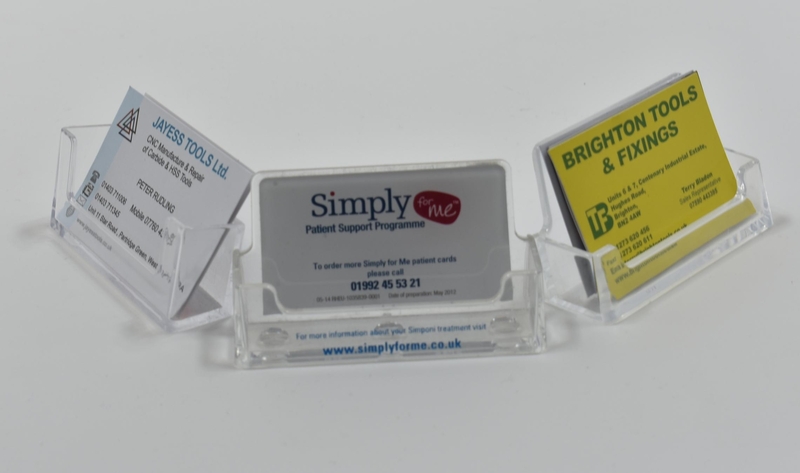 Our full range of stock includes single and multiple A4 leaflet dispensers, A5 brochure holders and 1/3 A4 literature dispensers and business card dispensers, these can be free stand or wall mount. 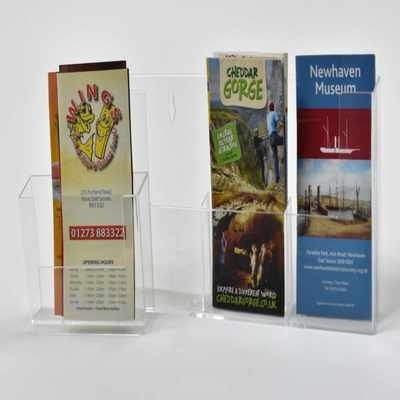 All dispensers for greetings cards, catalogues, business cards, holiday brochures can be made to suit requirements. Outdoor dispensers A4, A5, 1/3A4 and business card are also available. 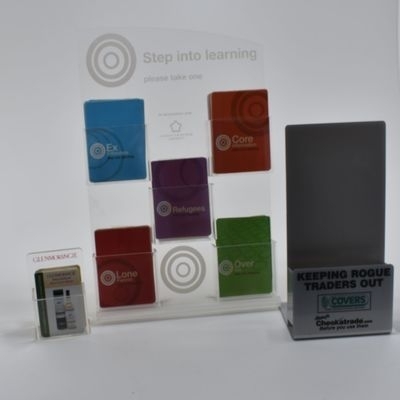 All these can be screen printed, with vinyl graphics or digital prints to artwork supplied. 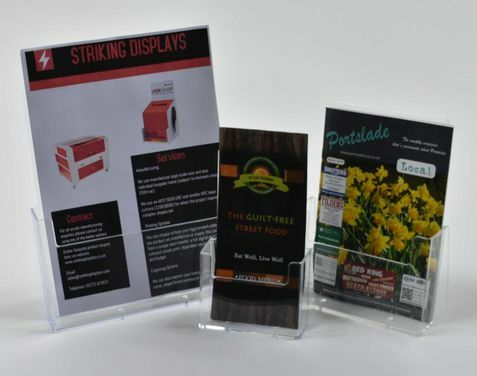 The menu below shows the range of leaflet dispensers available, please click on the images for information or enquire giving your specific requirements.